Innsbruck, Tirol, Austria. March, 2011. 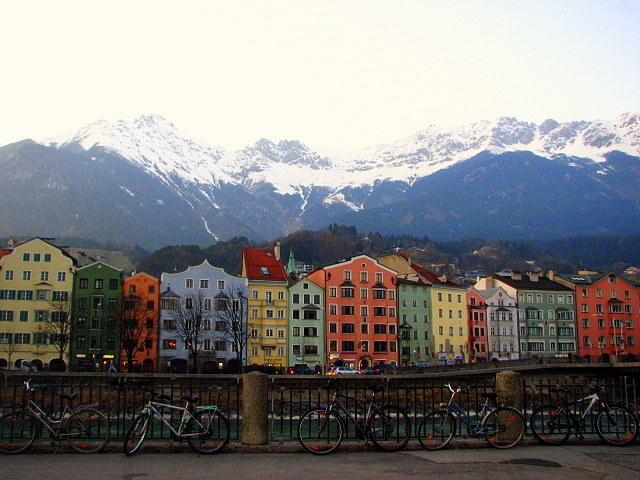 I fell in love with Innsbruck. I fell hard and from the first instant I stepped down the train and greet it. I fell in love with its incredibly crisp, fresh air, with its light, with its young spirit and last but not the least…with the colorful old buildings and its mountains.